Prime Minister Theresa May has had a tough week. A volcanic 24 hours in Westminster saw the prime minister's withdrawal agreement suffer the largest Commons defeat on record, 202-432 and Jeremy Corbyn instigate a no confidence motion. On Wednesday that no confidence motion was narrowly defeated 306 to 325. It leaves May in the doldrums, trapped in government but suffering humiliating defeat on her keystone policy. These times have prompted gloating Labour supporters and several amused political reporters to parrot back and immortalise May's own words during the 2017 snap election. "Nothing has changed," the prime minister delivered as a response when questioned over a policy U-turn in the campaign. Using those three words, Morten Morland destroyed Theresa May in today's Sunday Times. 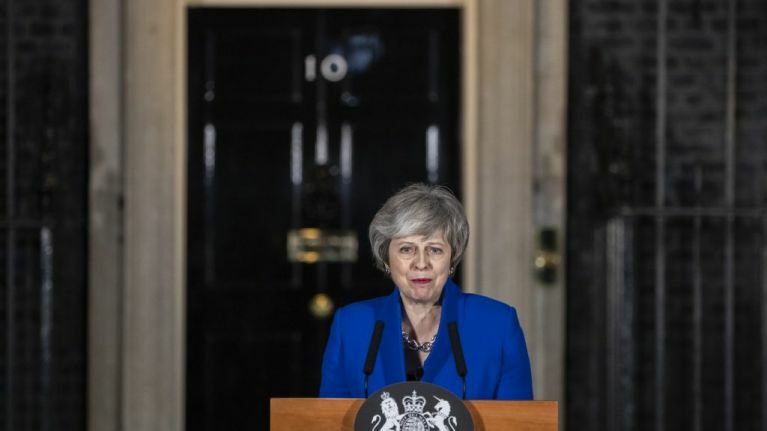 Theresa May is expected to announce her 'Plan B' Brexit withdrawal agreement on Monday afternoon, following that historic defeat. The contentious Irish backstop is still the focus of discussion in the papers and the Tory party. As well as this ripe cartoon, The Sunday Times reported the government may "offer a bilateral treaty to Ireland that would remove the hated ‘backstop’ from the EU withdrawal treaty and prevent a hard border by other means." 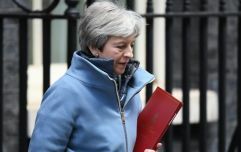 No 10 have denied knowledge of the plan and Irish foreign minister Simon Coveney tweeted that his government supports the withdrawal agreement "in full, including the Backstop as negotiated."